If you and your friends are stuck thinking about what to gift your best friend on his 21st birthday, then how about hiring our birthday limousine to give your friend a pleasant surprise. It will be an experience like no other. High school teenagers like to think it’s a big deal going to the prom; and for that age, it really does feel like going to one’s wedding. It is starting to become a tradition for these youngsters to hire a limousine to take them to and from the prom. Join in on this tradition and have a blast of the night celebrating with your friends and dates. A wedding marks the beginning of a new life in which both the people make efforts to bring happiness into the other’s life. So why not start the gesture right from the wedding day by hiring our wedding limousine to take you two into the sunset. There are a variety of services that we provide our customers besides limousine hire; these services include decorating the car from inside as well as outside to make your ride even more unique and special. Read on to find out what kinds of limousine we offer. It is safe to say that our Hummer Limousine is becoming very popular. It does look robust from outside but it is the perfect choice for planning a luxurious journey. What’s more, you can further have the interior altered to what you have planned for your trip. Does the Rolls Royce Limousine need any introduction? The very name spells luxury and extravagance. If you have every wondered how it feels to sit in a Rolls Royce, then now is your chance to not only sit in a Rolls Royce, but a Rolls Royce Limousine. The Bentley, like the Rolls Royce is another one of our exclusive limousines that you are most definitely going to enjoy. 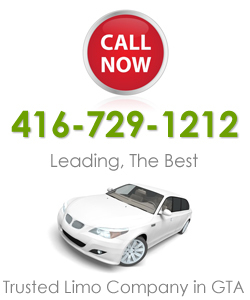 The above mentioned are only some of the limousine services that we provide in the area of Brampton. For more details on our other services and limousine types, visit our local office.